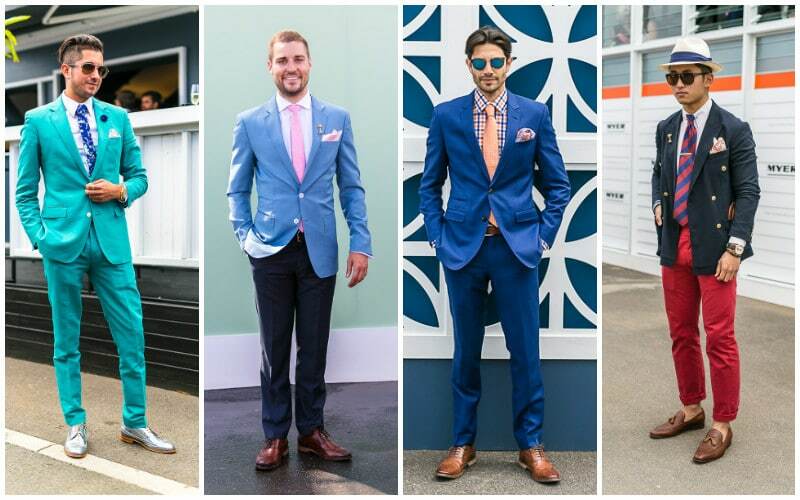 If ever there was a time for men to shine in sartorial splendour, it’s at this year’s Melbourne Spring Racing Carnival. 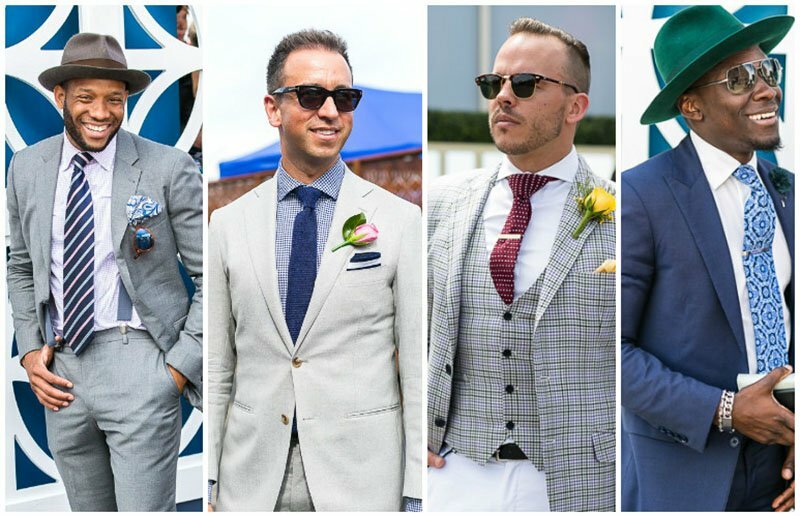 There’s scarcely a better example of the evolution of the modern male than these four major race days that captivate a nation and play host to the peacocks and punters alike. 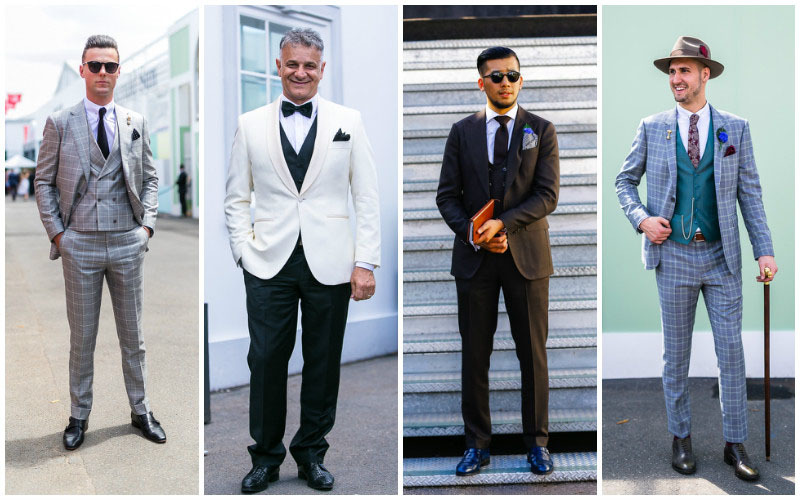 As with the many rose beds that frame the fabled walkways of Flemington’s famous racecourse, men’s styling is in a state of full bloom. It has to be said that the monopoly that women once held over trackside fashion now faces some formidable competition from the opposing gender who now claim their share of the spotlight. 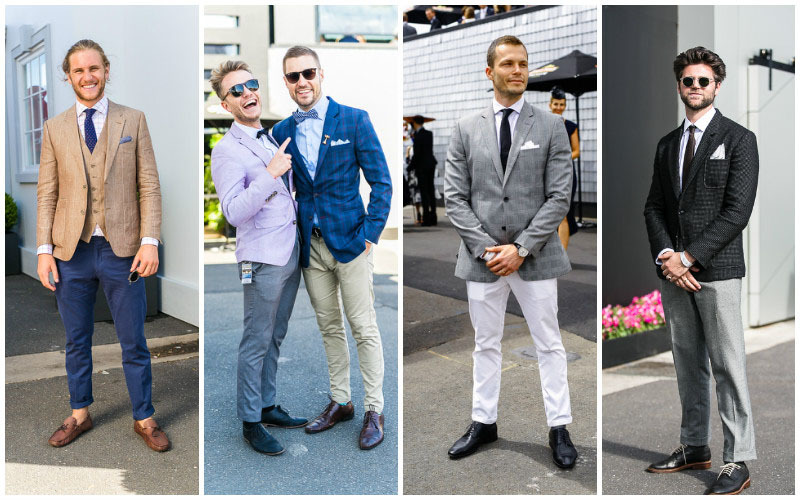 Below we recap six men’s fashion trends spotted at the Spring Racing Carnival that will inspire your racing wardrobe. 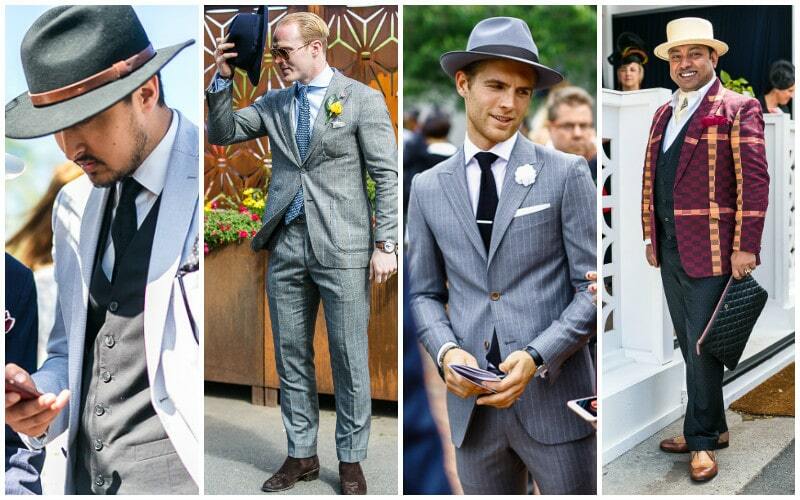 This year the quirk of British tailoring was fully embraced by the lads as checks make a big statement. The window check, in particular, was styled in either the classic two-piece suit or mismatched separates. For those who chose to freestyle with a check or stripe jacket and plain colour pants or vice versa, the styling options were limitless. 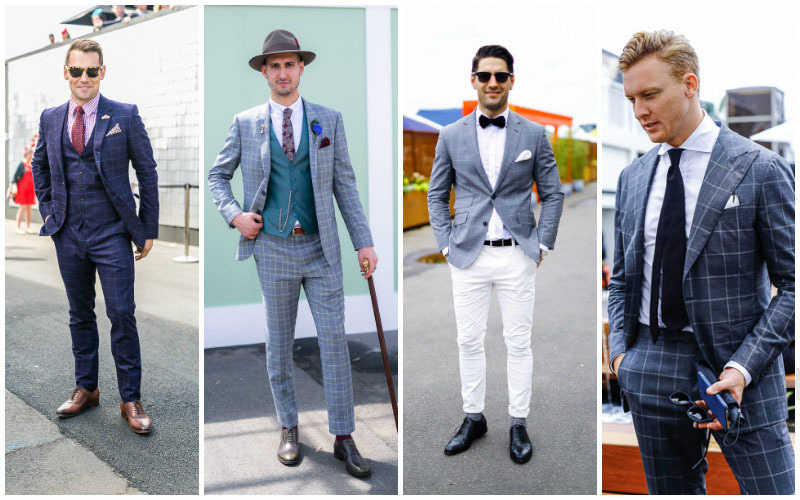 The traditional waistcoat has seen a resurgence in popularity this year. This key item was spotted in high buttoned single and low buttoned double-breasted variations. 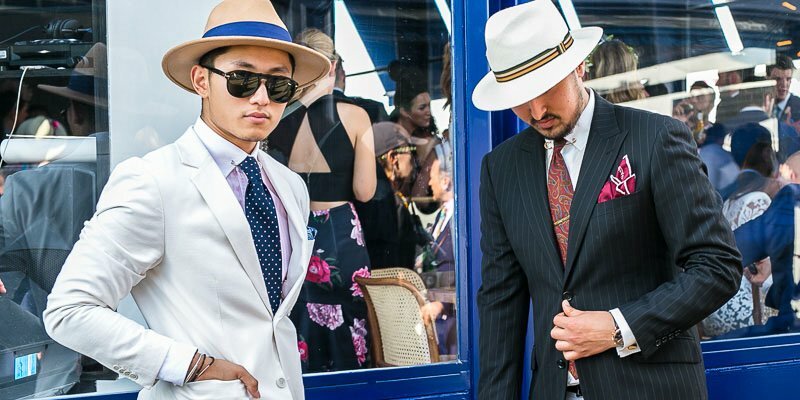 Aside from razor sharp tailoring, the standout menswear looks during the carnival also belong to those who dare to splash out on colour. French navy, marine green and sky blue were key foundation colours with highlights in cherry, salmon and pink. Ties were wider this season with the slim tie and bow tie taking a second-row seat. Winning looks included college stripes, jacquard and knitted ties. Panama and fedora hats enjoyed enduring popularity with the boater hat being the new kid on the block.